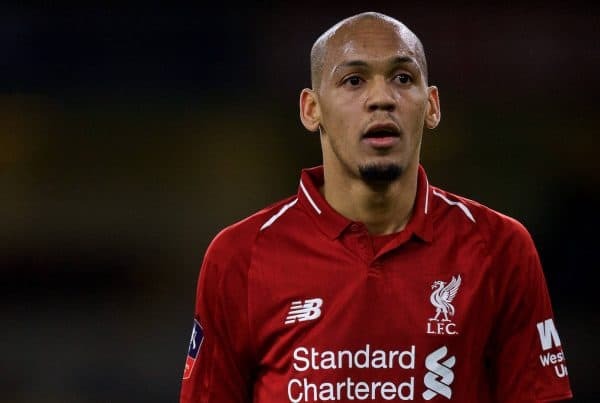 Liverpool assistant manager Pepijn Linders has discussed the slow rise to prominence of Fabinho, and how the No. 3 is now effectively irreplaceable. 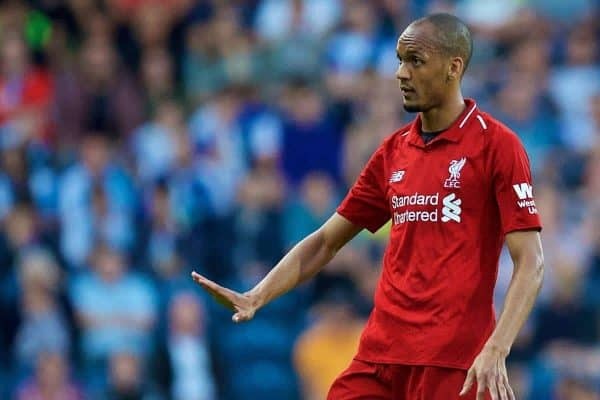 Fabinho‘s signing was announced just two days after the Reds’ defeat to Real Madrid in the Champions League final, serving as a timely boost to morale on Merseyside. Instead, his first start came in the League Cup defeat to Chelsea in September, while his first start in the Premier League was a month later, against Cardiff City. Since then, Fabinho has featured in all but one game in the English top flight, starting 12 of the last 17, with 11 of those coming in midfield. “To adapt to the intensity of our play, that takes time. Not many can do it, and in certain positions it is easier than others,” he explained. “If you are a front player and you come in, and you are used to playing in an attacking way, then it is easier, depending on the specific attributes you have as a player. “For him, to play in a midfield three as we did at the start of the season, we knew from the first second, we knew from the videos that it would take time. “His impulse of defending forward is absolutely of the highest level. The question as a No. 6 is that you are moving more side to side than forwards. Then of course you have to adapt. “And then we find a good solution to change to 4-4-2. And from that moment it helped so much, and then you saw the real Fabinho. “Inside the ‘organised chaos’ that we want, that we like, he is like a lighthouse, he controls it and for me, you can still have the style of the gaffer and how we want to identify ourselves. “But with a player like Fabinho in the middle, the ball always goes out round. That’s how they say it in Portuguese. This notion of the “lighthouse” references Fabinho‘s standing as a top-level defensive midfielder: a cool head in a busy system. It is notable that since Fabinho‘s introduction, Jordan Henderson has largely operated in a more advanced role, having spent last season as Klopp’s first-choice No. 6. 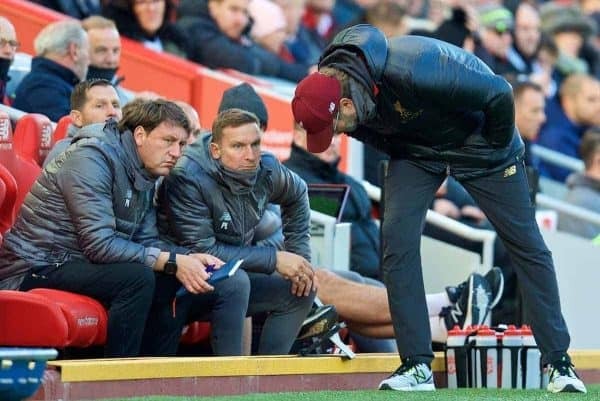 Whether the captain’s deficiencies in an unnatural role were a point of discussion within the coaching staff over the summer is unclear, but in Lijnders’ explanation of a change in emphasis, Fabinho‘s influence shines through. “What’s natural for a team to develop is, if you look now to the teams we play, teams are set up to really just play counter-attack against us and really defend the centre zone,” he continued. “You really need a certain stability in possession and a certain control and position to have that stability [so] you don’t get countered. “It’s purely based on how we are protecting ourselves in attack and how stable we are, how with the right tempo we are passing the ball, moving and create in certain zones players being close to each other who can combine. “That stability in possession, that’s what you see more. That’s purely based on that we stop more counters. “That’s purely based that we can attack more and that it doesn’t come from that deep. 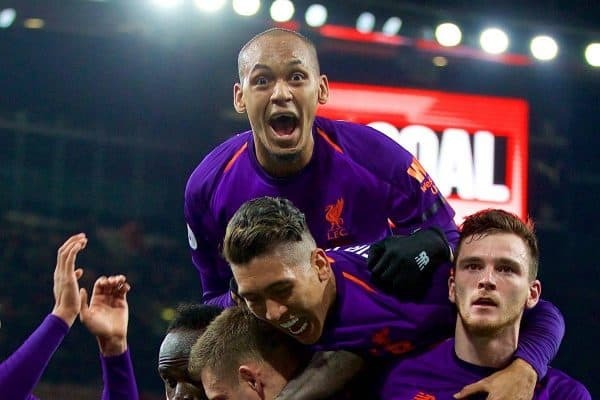 The signing of Fabinho was an inspired one, coming as a surprise to most, and now it is proving one central to the evolution of Liverpool from contenders to title favourites.